Although it's pretty easy to hook up a Raspberry Pi to a screen using its HDMI port, it's not exactly the most portable of solutions (especially if there isn't a TV or monitor around). 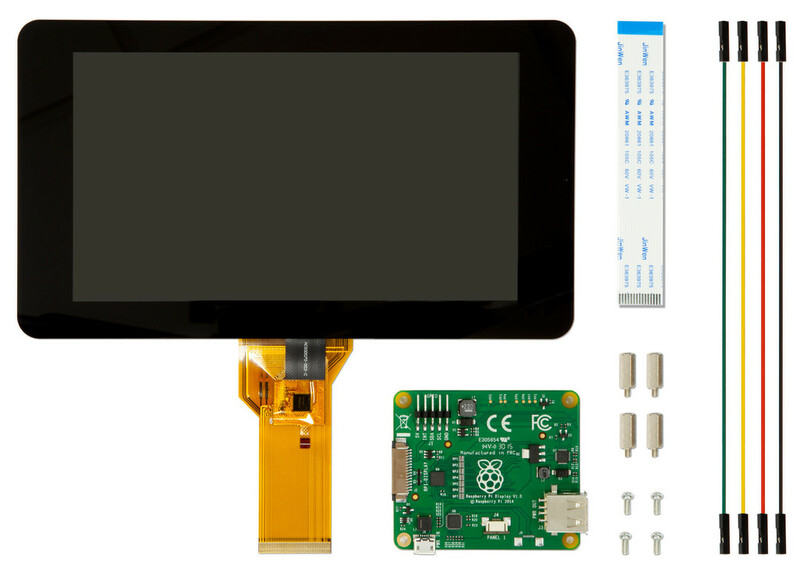 The Raspberry Pi Foundation recognized this, so it set about finding a "simple, embeddable display" capable of giving Pi owners a screen from which to work from, but that also embodies the DIY spirit of the board that it connects to. It's taken almost a year, but the official Raspberry Pi touch display has gone on sale today, offering tinkerers a 7-inch capacitive 800 x 480 touchscreen display that supports 10-finger touch. As you'd expect, connecting the display to the Pi requires a steady hand and a little patience -- it's not as easy as plugging in two ends of an HDMI cable (but that's all part of the charm, right?). You can choose to power it via the Pi's GPIO port or by plugging a microUSB power supply into the display board, while a ribbon cable connects to the Pi's DSI port. 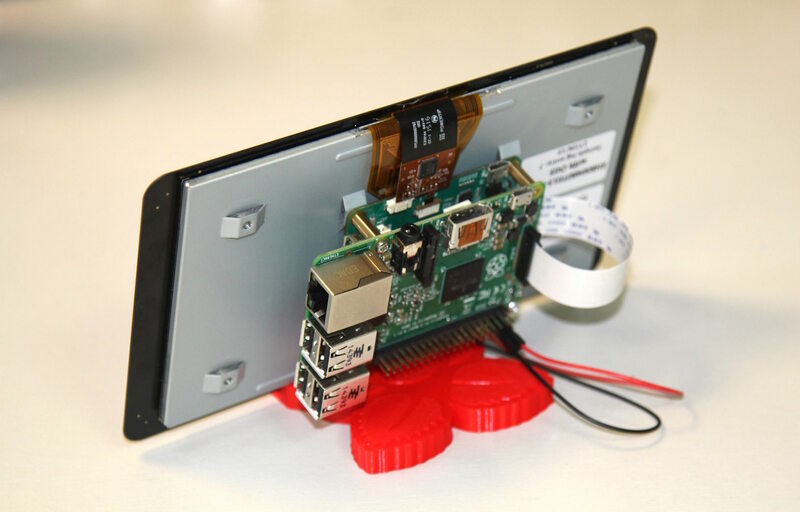 The Raspberry Pi Foundation has ensured that both the display board and the Pi itself can be mounted on the back of the display (as shown in the image above), making it a lot easier to connect the various cables and also to store. As it turns out, the Raspberry Pi isn't the only maker board getting an official display. DIY computer kit Kano, a project that has been embraced by schools, has opened pre-orders for a 10.1-inch HD (150 PPI) LCD screen that also requires you to build it yourself. The case's design also allows you to store the Kano's keyboard and a third-party battery inside, making it truly portable. The official Raspberry Pi display is available to buy at all the usual Raspberry Pi stockists starting from $60 (£48). There's also six different colored frames to choose from, but you'll pay a little extra for the privilege. If you're new to the Kano, the kit and the display bundle will cost $250 (£200) or $110 (£90) for the screen on its own.